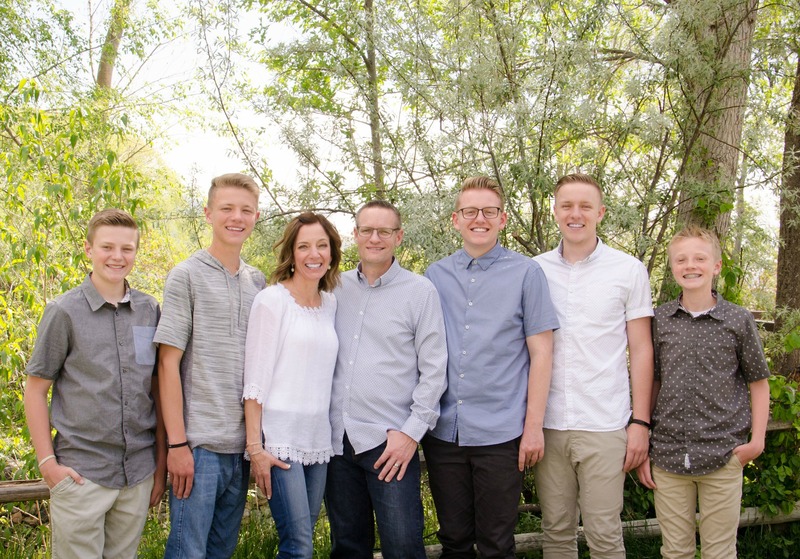 Holy moly I’m exhausted, this 12 Days of Sugar is hard work, but 43 pounds of sugar later, it has come to an end! I’ve made more messes in my kitchen, washed more dishes, licked more spoons & consumed more sugar then I care to mention. But I’ve also had a blast doing it because, well, I love treats. Hopefully these last 12 days you’ve seen something you want to add to your “must make” list this holiday season. 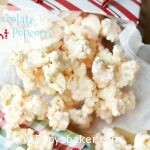 This white chocolate peppermint popcorn is extremely addicting, so simple to make and insanely delicious. This would make such a great neighbor gift. You can pop your own popcorn or use microwave popcorn, which is what I did (easy peasy!). If you go with the microwave popcorn, just make sure you don’t use one that’s heavy on the butter (I used Jolly Time Healthy Pop Butter). Package this up in cellophane bags or boxes with a ribbon attached and voila . . . you’ve got a fabulous, simple, delicious neighbor gift. We’ve got a couple weeks until the big day, so now that 12 Days of Sugar is over, I need to get serious about shopping. So until next year, so long sugar madness. . . I think I’ll go eat some veggies now before I dive into this popcorn again. Stir 1/2 of the crushed candy canes into the melted bark and pour over the popcorn. 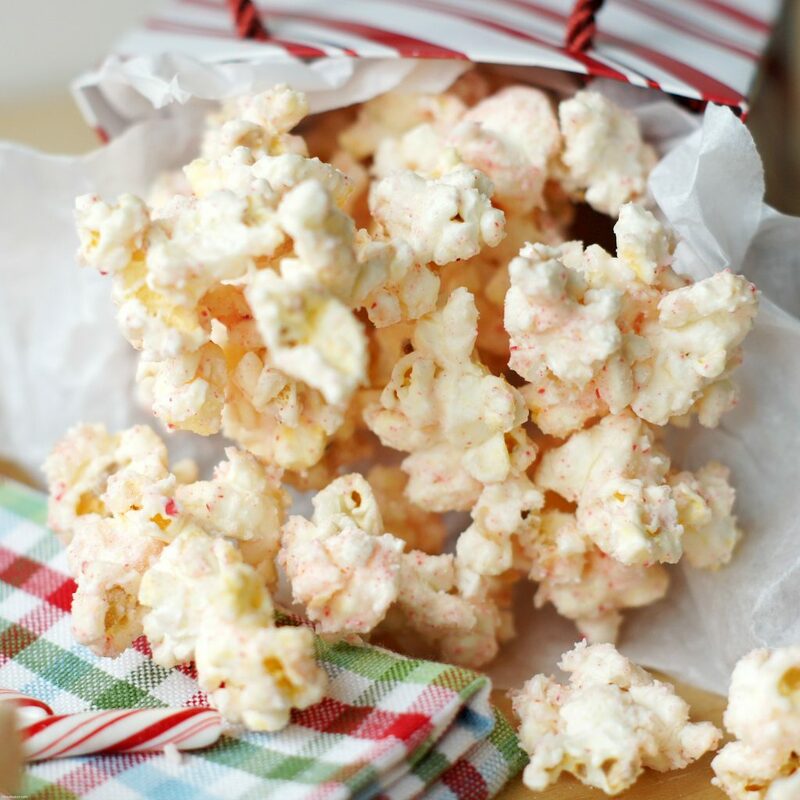 Stir until popcorn is evenly coated, sprinkle remaining crushed candy cane and give the popcorn a few more tosses. Lay popcorn on a parchment or wax paper-lined cookie sheet to cool. Break into pieces and package up for gifts or enjoy it all to yourself. If you want the peppermint flavor stronger, just add more crushed candy cane. Adjust it according to your taste buds. This stuff is addicting! I couldn’t eat it fast enough……..What a great treat to take to neighbors!